Among the possible things to jump over on skis, rivers have always been a particularly accessible and photogenic, if high-consequence, thing to go flying over. 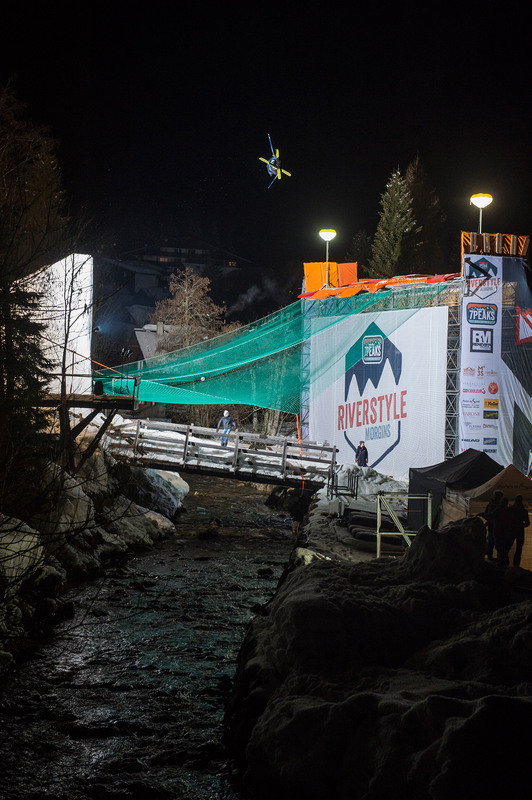 In the town of Morgins in Valais, Switzerland, a crew of local riders including Level 1 Productions athlete Laurent De Martin has turned the local river gap that they always dreamed about hitting into a full-on feature event: the 7Peaks Riverstyle. River, gap: Vince Tupin sends the Riverstyle jump on his bike. 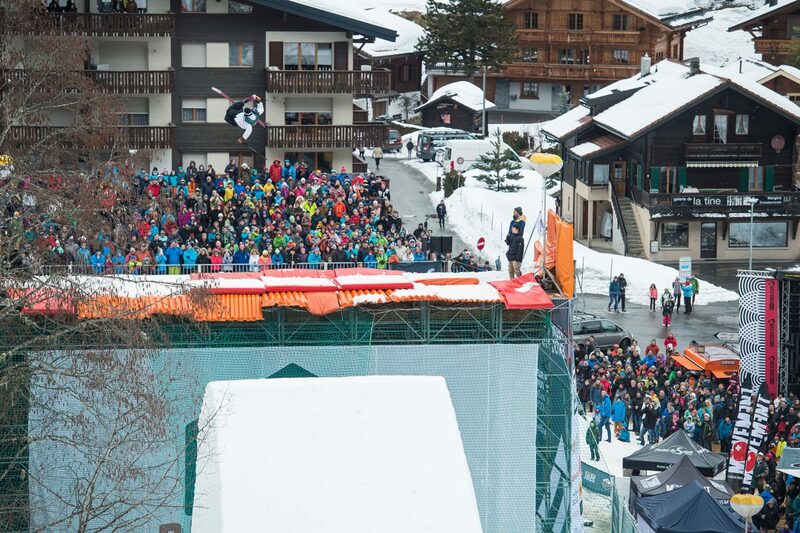 The third edition of Riverstyle went down last weekend, with over 4,500 spectators watching as a crew of crazy skiers and boarders brought their tricks to the event’s signature jump: a gap of over twenty meters across the river running through the middle of town. Laurent De Martin feeling right at home. 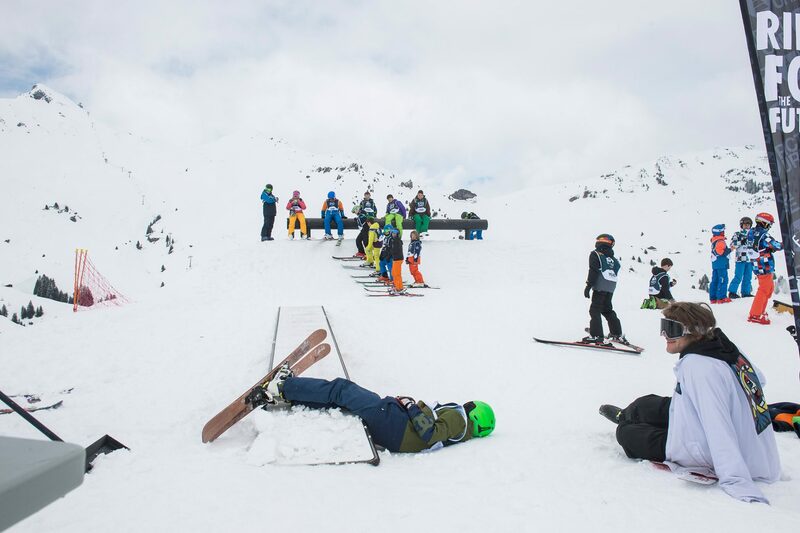 This river death gap was not to be trifled with, and the fickle spring weather caused the Friday session to be called off due to sticky snow—which still didn’t stop Vincent Tupin from jumping the gap on his bike. 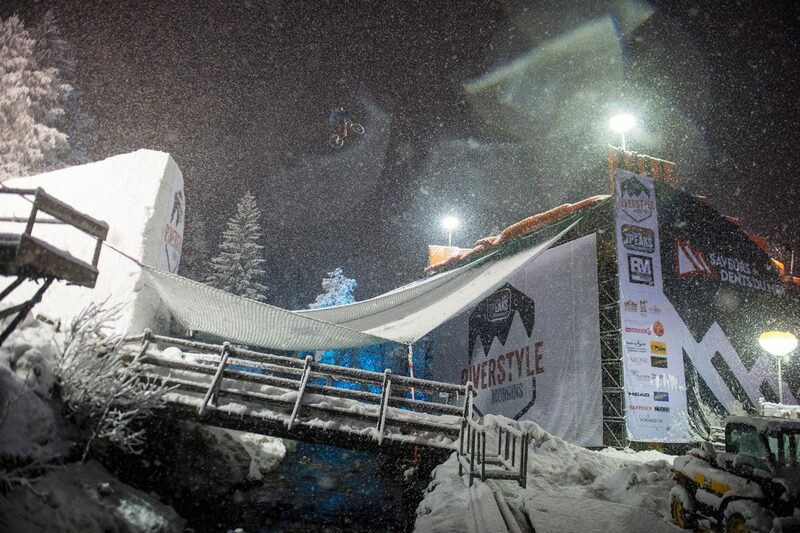 But the Saturday night showdown went off without a hitch, with perfect conditions, a high level of riding and Swiss rider Till Matti taking the Riverstyle title. Card-carrying Flying Frenchman Jules Bonnaire. 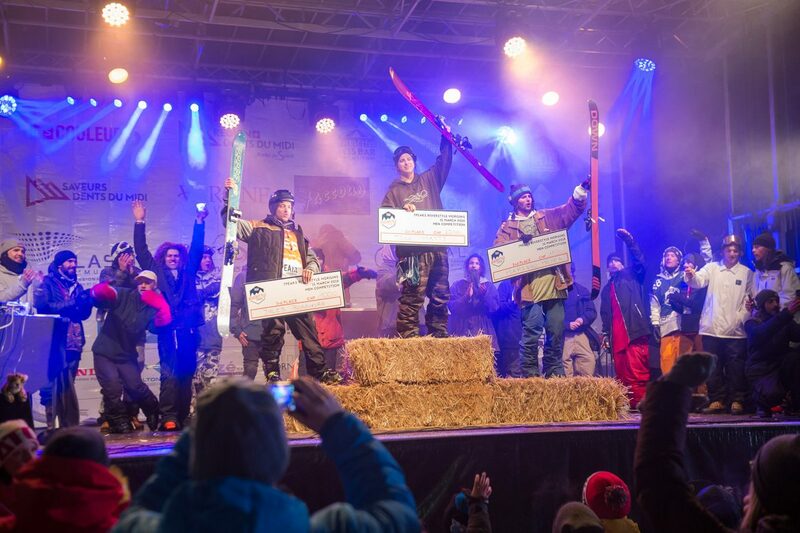 The 2018 7Peaks Riverstyle podium: Till Matti, Marinho Meyer and Jules Bonnaire. It's not falling, it's learning how to get up again. Laurent De Martin, doing it for the children. 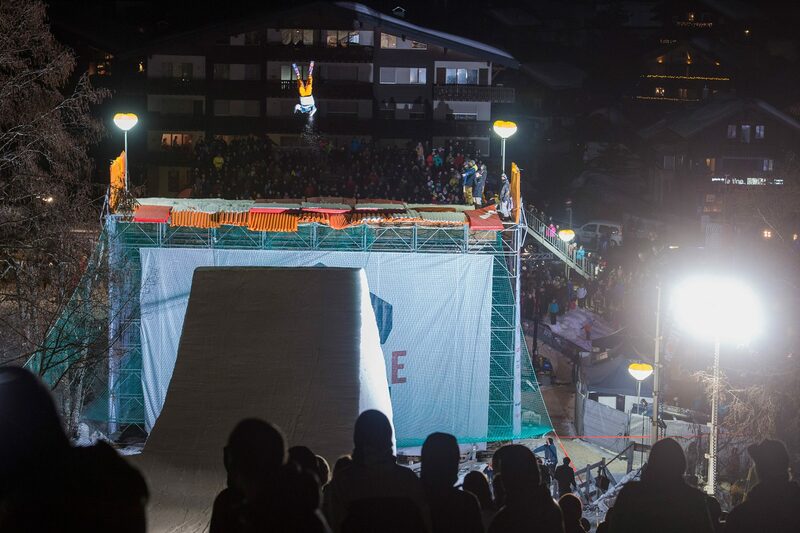 “Saturday night was all time, perfect conditions to jump,” he continued. 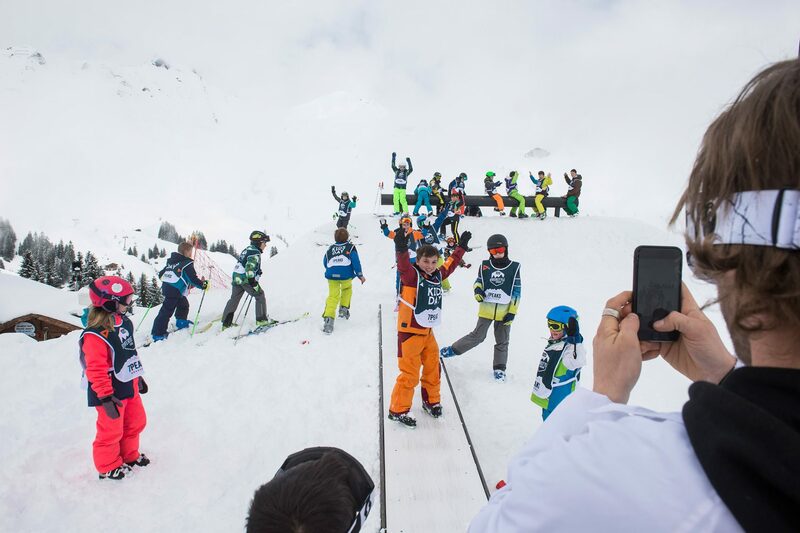 “A lot of people, stoked riders and stoked kids. 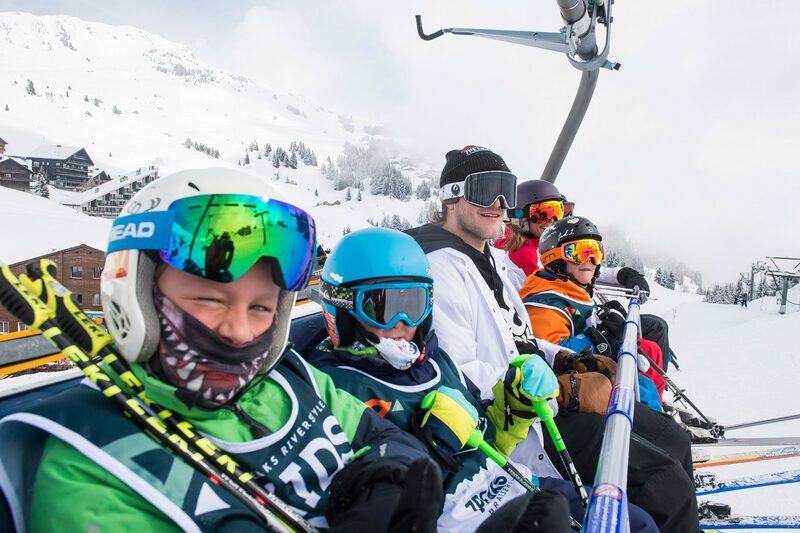 The crowd is different than most of the freeskiing events: you have old poeple, kids, parents, all kinds of people who want to discover the sport and have a fun time. It helps for sure that we’re in the middle of the village.” The Riverstyle organizers were also glad to welcome a crew of American riders for the first time, with Alex Ferreira, Taylor Seaton and Lupe Hagearty dropping by to scope the scene. Alex Ferreira drops a backflip beer chug—a classic crowd pleaser.